Board member Mary Yanneth Bermudez Camp talks about the Spanish American Center in Leominster as it prepares to celebrate its 50th year in operation. LEOMINSTER — Defining the Spanish American Center isn’t easy. What started 50 years ago as a way of easing the transition process for Spanish-speaking immigrants has since grown into a beloved community center and resource for housing, food assistance and a medley of other social and economic issues for not just Hispanics and Latinos but the community at large. The center actually turned 50 last year, but staff and volunteers hope to celebrate at their annual block party sometime this summer outside their Spruce Street building. The center has been at its current location only since 2003, when it was able to purchase its own facility. Before that, it had moved through five different locations over the years. When the center first opened in 1966, it was based just outside downtown Leominster at 305 Whitney St.
Reinford said he first came to work in Leominster as a bilingual teacher in 1973 and he’s seen a lot change in the community, as well as the general perception of the Spanish-speaking population since then. He recalled being in graduate school when he heard of one study from the time that claimed people who spoke English as a second language were less intelligent than the country’s native English speakers. “That thinking has since gone out the window,” he said. Another major change has been the demographics of the people the center is helping. When Miggie Velez, who serves on the center’s board of directors, started working at the center in the late ’90s, a large portion of the people the center’s staff were coming into contact with were undocumented immigrants. Velez referred to one particular incident when she had been working with roughly 20 students at one of the center’s after-school programs when she was told that half the children’s parents had just been taken away by immigration services that same afternoon. “It was 9 o’ clock at night, and we had young children, babies, who were still waiting for their parents,” she said. Velez and center Director Neddy Latimer spent the next few days not only finding places for the children to stay, but also scouring the community for any other children that might have been left alone after their parents were taken away. 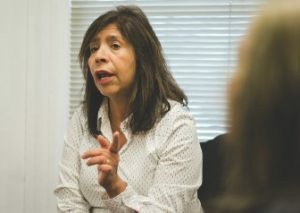 Since then, Velez said the center has come full-circle, because the largest demographic currently being helped are once again Puerto Rican immigrants who, in many cases, are trying to escape their home’s current economic downturn in search of better employment opportunities in the Leominster area. While it’s still called the Spanish American Center, board of directors member Cherly Boissy pointed out that the center has an open-door policy to any local resident in need of help. “This center doesn’t just help people who are Puerto Rican or Colombian or Guatemalan or Mexican. They help anyone who comes through the door,” she said. You may find many Hispanic or Latino residents who benefit from the center’s programs and resources, but the total population of people you might find on Spruce Street in a given day has become that much more diverse. David Murphy of Leominster has become a regular guest at the soup kitchen the center sponsors alongside Ginny’s Helping Hand twice a week and has only missed six meals over the last year. Charles Cristofono is another frequent guest at the center’s twice-weekly lunches who also praised the resources available to those in need. Latimer said she sees the center’s work as primarily sharing information and referrals for the community. 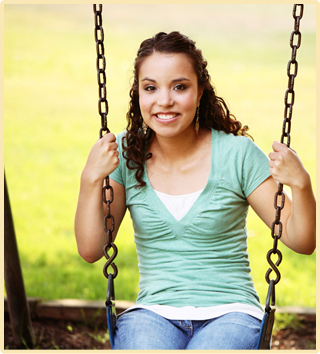 Their services include domestic-violence resources, English classes, and after-school programs. In addition to their soup kitchen, they also prepare meals for local students and operate a food pantry. The center also offers bilingual services, including tax preparation, translations, mediation services and health seminars. Looking ahead to the future, center staff and volunteers plan on being able to offer the same programs to the community, and new ones as well, but they also hope their work will lead to less poverty and less need for their services. In the meantime, they’re happy to see how the community has changed for the better over the last half century.